Officials from the Maryland Transportation Authority have settled a wrongful death lawsuit for $900,000. The case stems from a deadly 2015 police pursuit crash that occurred on Interstate 95. In December 2015, a 52-year-old woman named; Sonjia Johnson-Baker; tragically died in an automobile accident. The incident occurred on Interstate 95; just outside of White Marsh, Maryland. The fatal collision happened after a vehicle in the northbound lane suddenly crossed over the median, and struck her car; which was traveling in the southbound direction. Also, the victim also had two daughters injured in the collision. Upon investigation; it is was revealed that the vehicle responsible for the wreck was being actively pursued by law enforcement officers; from the Maryland Transportation Authority Police. According to the legal complaint filed in the wrongful death case; the police chase began in Hagerstown; after the driver of the vehicle, a man named Michael Brown, refused to stop outside of a local convenience store. Later, Mr. Brown led officers on a 15-mile chase, dangerously weaving his vehicle in and out of traffic at speeds that reached up to 100 miles per hour. According to recent reports, Maryland’s top transportation officials have now authorized a $900,000 settlement in this wrongful death claim. Legal representatives for the family members of the victim argued that the police chase was wholly unjustified. Next, their attorney informed reporters claimed that the officers did not have the probable cause needed to make the initial stop. Next, they presented that Mr. Brown posed no immediate threat to the public. Therefore, a dangerous and high-speed pursuit during the middle of the afternoon was simply unwarranted. ; and due to the settlement a trial was avoided; however, Maryland Transportation Authority officials declined to comment on the specific terms. 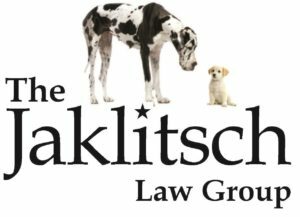 The Maryland wrongful death lawyers at the Jaklitsch Law Group noted that “wrongful death claims against police departments and government agencies are especially complex. While the suspect can certainly be held legally liable for accident or death caused in a police chase accident as well, criminal defendants do not typically have sufficient resources to pay out a wrongful death claim. Contact us today at (301) 627-8700 to discuss your case.